Currently viewing the tag: "Dealmonger"
We’ve covered cheap mortising attachments here before, but this Orion mortising attachment at Woodcraft looks like it’s a much higher grade tool. 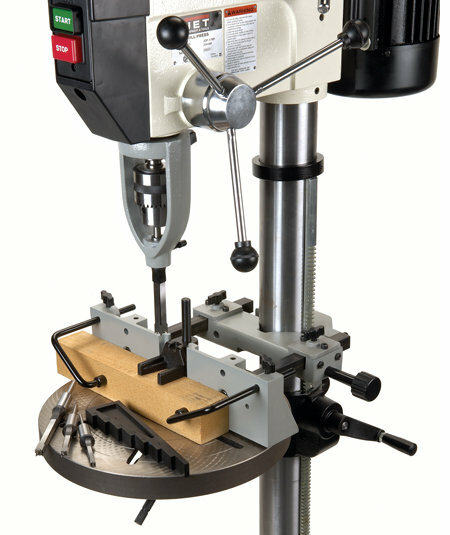 The Orion supposedly fits most drill presses with 2-5/8″, 2″, 1-7/8″, 1-1/2″ (think DP350) diameter quills. It features a micro adjustable fence which can hold work pieces up to 4-1/2″ thick. 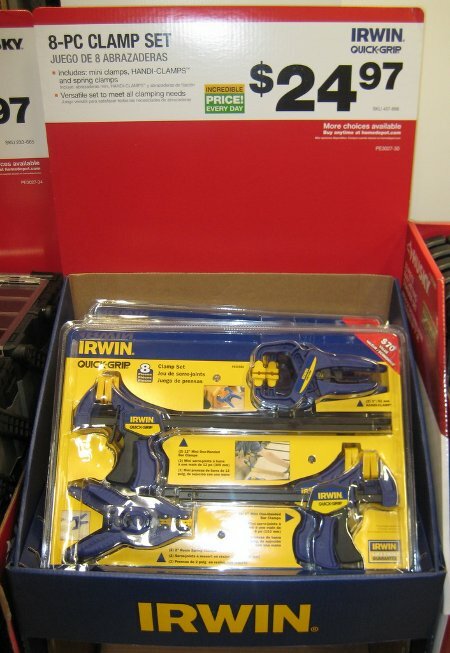 The mortising attachment also comes with hold down rods, a setup block, and 1/4″, 5/16″, 3/8″, and 1/2″ chisels. Inevitably there’s times in your shop that you need a few screws of a certain type, but in order to get them you have to buy a 1lb box — and you always wondered why the old man kept glass jars full of miscellaneous screws. Get a head start on a lifetime of collecting things in glass jars with McFeely’s 5 or 10lb boxes of assorted screws. McFeely’s is liquidating tons of mixed fasteners left over from their packaging operation, and rather than throwing them out they’re putting them in boxes and shipping them to your doorstep. There’s no guarantee that you’ll get any specific mix, but all of the leftovers are their top-quality screws, such as stainless screws, concrete screws, and plated screws of all varieties — some of which sell for more than $20/lb. Get the 5lb box for $13 or the 10lb box for $25. You pay around $8 shipping for the first box, and each additional box adds a few bucks. Limited quantities are available — they’re only selling what’s on hand, not creating batches of mixed screws on purpose.